Personas represent a collection or group of users who possess similar characteristics such as buying behaviors, product or feature preferences, personal habits and lifestyle, etc. Today, customers demand more from organizations than ever before. They expect products, services, and information to align with their own unique specific needs. Gone are the days where companies can develop products based on a collection of educated hunches and guesses as to what the market really wants. Creating these user or product personas enable organization to make more targeted analysis regarding specific products and customers. Personas can be a great tool for product management. For example, personas enable product managers to make those difficult decisions or solve important impasses throughout the development process. They usually consist of one-on-one, in depth interviews with customers, in an effort to identify and understand the various types of people using your product. According to Marty Cagan of The Silicon Valley Product Group, a persona is a “description of an imaginary but very plausible user that personifies these traits – especially their behaviors, attitudes, and goals”. There are many benefits in knowing how to effectively create product personas. Well researched personas eliminate the need for unnecessary product redesigns and increased customer support costs. Persona vs Profile: What’s the difference? Is there a difference between a customer profile and a user persona? Most product professionals would agree, that yes, there is a difference. Personas are more archetypal users, who are created based on research and data gathered from real customer interviews. They are a descriptive representation of user behaviors such as purchasing, decision-making, patterns, etc. Profiles, on the other hand, tend to provide descriptions of general characteristics of the user audience in question. 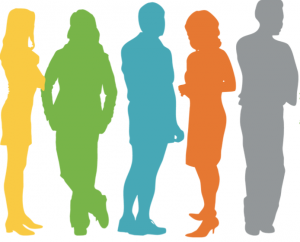 We would love to hear your thoughts on personas: Are they useful in product management? Why or why not?